Cheerleaders Gentlemen’s Club, voted Best Gentlemen’s Club in Pittsburgh an unprecedented 5 years in a row (2014-2018), and Metrospect Entertainment, Philadelphia’s premier event firm, have teamed up to present the world’s most pulsating pole competition, The Platinum Pole Awards! Contestants hailing from all over the globe will battle it out for a chance to win the astonishing $10,000 Winner Take All prize. Local and national celebrity judges will be brought in to select the winner and contestants will be judged on agility, technicality, presentation, showmanship, originality of performance and costuming. Tickets to this unprecedented event will include a sponsored select open bar, gourmet passed appetizers and a champagne toast to congratulate the 2019 Platinum Pole Awards Steel City Winner. Do you have what it takes to win the biggest Pole Award Competition of the year? 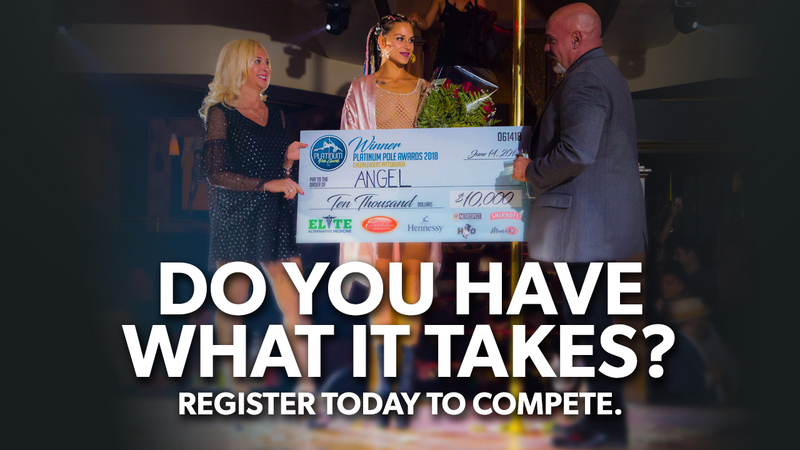 Submit your Competition Registration today for your chance to be selected as one of the contestants competing to win the $10,000 Winner-Take-All Grand Prize. Interested in being a contestant? Register today! Platinum Pole Awards is presented by Cheerleaders Philadelphia, Cheerleaders Pittsburgh and Metrospect Events. Platinum Pole Awards presents contestants hailing from all over the globe competing for a chance to win a winner-take-all grand prize. Local and national celebrity judges select the winner and contestants are judged on agility, technicality, presentation, showmanship, originality of performance and costuming. © 2019 Platinum Pole Awards. All Rights Reserved.